Examiner is an inspector post. If one can posted in Headquarter, he have to do Clerical or file related work. If he/she can posted in the field the he/she have to do executive work like examine the goods imported or to be exported and assessing duty on that, In this job uniform is not mandatory. Please note that this is the lowest post in Central Secretariat Services. Mainly one can to clerical work; like typing, noting, drafting and file related work. Typing Test will be held by SSC for this Test. Best suitable post for female candidates and people want to work in Delhi. Non-Corrupted Job, No under table Income, New Delhi posting in various ministries, one can get the power once he/she reaches the level of under secretary. An Assistant in CSS can be promoted to the next post - SO (Group-B Gazetted Officer) in two ways- one by taking departmental exam and passing it which will held after 05 year of service so after 06 years one can get his first promotion and secondly one can normally gets promotion after 10 years of service. 1. Section Officer (Group-B gazette Officer) (Grade Pay - Rs 4,800). 2. Section Officer (Group-A gazette Officer) (Grade Pay - Rs 5,400). After completion of 4 years service at GP 4,800. 3. Under Secretary (Grade Pay - 6,600). Based on performance & available vacancies. 4. Deputy Secretary (Grade Pay - Rs 7,600). Based on performance & available vacancies. 5. Director (Grade Pay - Rs 8,700). Rarely possible for entrant through SSC. Preventive officer is an inspector post. If anyone posted in Headquarter than he/she have to do Clerical or file related work. If one can posted in the field (airport/coast) than he /she have to do Executive work like prevention of smuggling, assessment of customs duty on goods, can arrest, seize , search, detain etc. on any kind of doubt of smuggling, and etc. Duty is round the clock means day as well as night shift job. A Uniform is mandatory with Ashoka Stambha with 2 yellow strips. First promotion in this job is as Income Tax Officer (Group-B Gazetted office), then Assistant Commissioner, then Deputy Commissioner and Finally Commissioner. One can get first promotion in this job after completing of eight year of service after clearing departmental exam. Promotion period differs from zone to zone since there is zonal seniority. The additional advantage in this post is that one can entitled for 30 liter of petrol if posted on assessment seat. Also he gets a sim from the department on which all STD calls on every type of BSNL/MTNL phone are free; and 400 minutes on other phones. This is an all India posting job. Central excise inspector is an inspector post. If anyone posted in Headquarter than he/she have to do Clerical or file related work. If one can posted in the field than he /she have to do Executive work like augmentation of central excise & Service tax etc, detection of evasion of taxes etc. To wear the uniform (Khaki) is optional. This is most sought post under CGLE due to foreign posting and many other lucrative facilities like children's education, accommodation etc and a very handsome salary of more than 1 lakh per month. But one can be posted in countries like Afghanistan, Pakistan, Iraq, Libya, syria too; but nothing to fear on this count as while sending one to another country on posting he is given a few choices for the needed postings and he is posted according to those choices preferably. Also you have to live in consulate area so no fear from outer people in foreign. If one chooses any of the countries mentioned he is given 50% more salary and his tenure there is counted as DOUBLE; means he has to serve there for one and a half year which is counted equal to three years. Cyphor Asst. is a little different from Asst. (general) because they have to do the task of coding and decoding of some highly confidential language in addition. Cypher has night shifts also and has to work for 6 days. A system of 2 days off and 2 days will be night shift, so no fixed Saturday or Sunday off. An Assistant (General) is supposed to be posted generally 3 years in India and 3 years in foreign and like this throughout his tenure of service whereas an Assistant (Cypher) is posted 3 years in India and 6 years in foreign and like this. A Cypher Assistant gets more foreign postings than general assistant but the promotion chances are better in general assistant. In MEA the promotional chances are very less and one can go up to the level of Under Secretary (US). He can be promoted to the next post in two ways- First direct after 15-17 years and second after 8 years of service or so after clearing departmental exams. Assistant Enforcement Officer is an inspector post. If anyone posted in Headquarter than he/she have to do Clerical or file related work. If one can posted in the field than he /she have to do Executive work like prevention of money laundering, to conduct searches of suspected persons, conveyances and premises and seize incriminating materials (including Indian and foreign currencies involved), to arrest and prosecute the person suspected to be involved in the act of money laundering, etc. Duty is round the clock means day as well as night shift job. Sub Inspector CBI post is of grade pay of RS 4,200. but it's salary is almost equal to the total salary for the grade pay of Rs 4,600 as CBI executive staff is entitled to additional 25% on BASIC PAY + DA and in addition to that salary of 13 months instead of 12 months year. Life in CBI is stressful due to heavy workload and deadlines there. Training duration is 32 weeks in Ghaziabad involves physical training as well as training on criminal and anti-corruption laws. It is very hectic job generally the work stretched beyond the usual working hours like one has to work till 8 or 9 pm. Usually on Saturdays, if the workload is more, the work goes on as usual; though Sundays are spared. Also in some branches like Special Crime etc, the job involves a fair bit of travelling especially in the starting years. The nature and hours of work also differs from branch to branch and place to place. Some branches have less workload and so the personnel can take it easy. No uniform required. Female candidates are advised to fill this post according to their wish but keep it nearby10. Male Candidates are advised to fill this post very near to central excise inspector. Every Postal division has Inspector of posts in its office. Every district has two or more division. 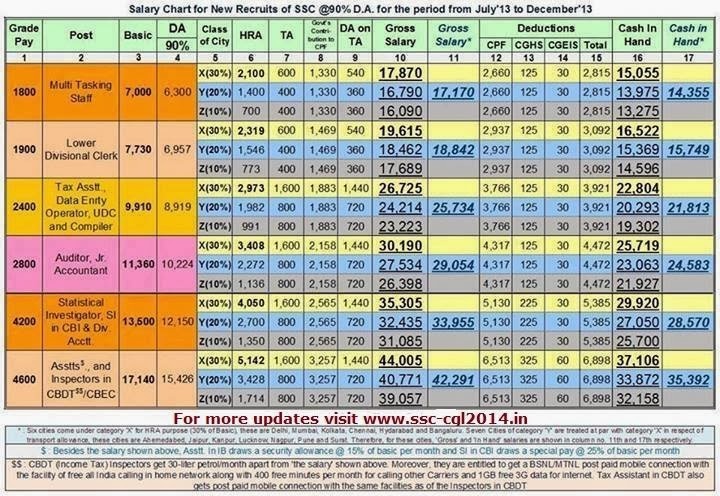 This is the worst post offered by SSC in Grade pay of 4200. A duty of Inspector of Posts is to sell Postal Life Insurance with a fixed target. Auditor Post is best post among all Non-Interview posts. Auditors are recruited under CAG and CGDA departments. 08 Hours office job & 05 Days working Job. 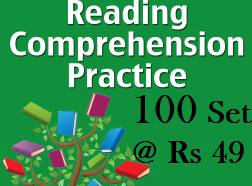 In this job one can get enough time for further preparations like UPSC etc. Promotion wise this job is job offered by SSC through CGL. One will get first promotion to Senior Auditor (grade pay 4200) after 3 years of service. Also One will get chance for the ppst of AAO (Gazette post) after clearing the departmental SAS exam after 2 more years of service.